Now that the Hi Def DVD format war is over, I thought it was time to invest in a good Blu-ray player. Even though the lower priced BDP-S500 ($600) is virtually identical to the BDP-S2000ES ($1300) with regard to features, I opted for the BDP-S2000ES because of the better build quality and better circuits. Past experience with Sony ES (Elevated Standard) components showed them to be worth the extra money. Plus, the 5 year warranty is nice to have, especially for a complex computing device such as this. Figure 1. The BDP-S2000ES renewed my enthusiasm for home theater. You should be advised that my enthusiasm was not easily renewed. My interest in home theater had diminished to the point where I was going to dismantle my 5.1 system and go with a simple A/V setup consisting of a wall mounted plasma, small wall mounted speakers, and a small box sub. I reconsidered after the constant pleadings of a particular frequent visitor. The chief driver behind my diminishing interest in HT was the picture quality, or lack thereof. I have been a photography enthusiast for over two decades. Unfortunately and quite inconveniently, my photography background causes me to be overly critical of visual media. The picture quality of consumer grade displays and media, prior to HDTV, produced the visual equivalent of listening fatigue. Whereas I can sit and listen to well recorded and well reproduced music for hours on end, standard definition television and standard definition DVD causes me to get antsy after a couple of hours. The BDP-S2000ES was very easy to set up and did not have excessively long load times (for a Blu-ray player), although the load times varied from disc to disc and ranged from 16 to 55 seconds. Load times for standard DVDs ranged from 10 to 35 seconds. Boot time (the amount of time between turn on and when the player becomes responsive to commands) was in the range of 58 to 62 seconds. was no Blu-ray viewing fatigue whatsoever. I upgraded to the BDP-S2000ES from a Sony DVP-S9000ES DVD player. I briefly replaced the DVP-S9000ES with a DVP-NS9100ES, but I went back to the S9000ES because the sound quality of the NS9100ES was so disappointing. My review of the DVP-NS9100ES is here. I compared the S-DVD and Blu-ray versions of three of my favorite movies and switched back and forth between the Blu-ray version played on the BDP-S2000ES and the S-DVD version played on the DVP-S9000ES. The BDP-S2000ES beat down the DVP-S9000ES in every video and (surprisingly) audio performance aspect. Even the standard DVD playback of the BDP-S2000ES was clearly superior to the DVP-S9000ES with more fine details and less noise in dark scenes. While I expected the picture quality of the BDP-S2000ES to be excellent, and it was, I was very surprised by the substantial improvement in sound quality. The overall sound of the BDP-S2000ES was substantially more clear and dynamic than the DVP-S9000ES. The BDP-S2000ES rendered low frequency effects with more tactile sensation, definition, and clarity than the DVP-S9000ES. Dialog was particularly more defined. Playing standard DVDs in the BDP-S2000ES breathed new life into them, both visually and sonically. Although viewing fatigue was not completely eliminated from standard DVDs, it was significantly reduced to the point that I could watch three of them back to back before getting antsy. The native resolution of my Hitachi 55HDT52 plasma HDTV is 720p. Therefore, the 1080p Blu-ray output of the BDP-S2000ES is downscaled to 720p through either the HDMI or component video outputs. The BDP-S2000ES upscales the 480i resolution of standard DVDs to 720p through the HDMI and component video outputs. When watching either Blu-ray or standard DVD discs, the HDMI output had better detail in the lighter parts of scenes and the component video outputs had better detail in the darker parts of scenes. For example, pausing the cobra/mongoose fight scene in the Blu-ray version of Casino Royale at the closeup of the snarling mongoose (Chapter 2, 9:40), the component video output showed individual strands of fur in the black parts of the mongoose's coat. However, the sunlit white fur on top of the mongoose's head appeared as a long patch of white. The same scene viewed through the HDMI output showed individual strands of fur in the sunlit top of the mongoose's head. Individual strands of fur in the black parts of the mongoose's coat were obscured or entirely not visible. The HDMI output also had a cooler color balancet that required more correction than the component video output. Color was set to 22 on the component video output to match the recommendation of the Avia calibration disc. Color had to be set to 35 on the HDMI output to match the Avia calibration recommendation. Color rendering between the two outputs was visually equivalent at their respective Avia calibration22 and 35 settings. The firmware of the BDP-S2000ES is upgradeable by free download from the Sony website. My player came with ver. 3.0 firmware and ver. 3.6 is the current version. I played movies before and after the firmware upgrade and did not notice any performance improvements. I used Nero Burning Rom to burn the ISO firmware image file to a CD-R. The firmware update took 10.5 minutes. There are also free ISO writing programs available, an example of which is "ISO Recorder". The BDP-S2000ES weighs 16.75 pounds compared to the DVP-S9000ES's 27.75 pounds. 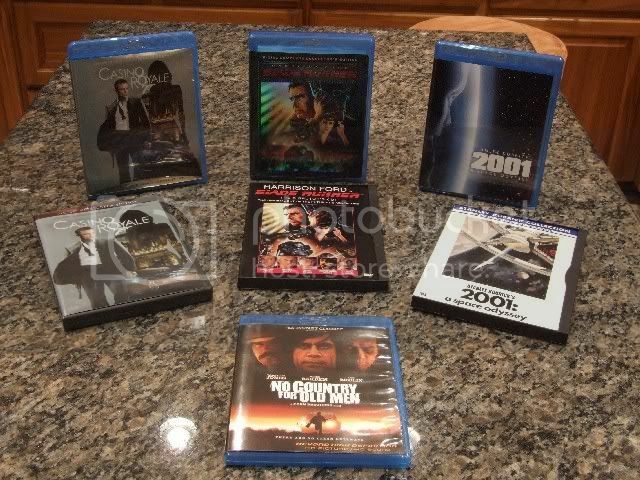 Although, to be fair, we must consider that Blu-ray players weigh in the range of 7 pounds (e.g. Panasonic DMP-BD30) to 10 pounds (e.g. Sony BDP-S300). Therefore, the BDP-S2000ES is a relative heavyweight among Blu-ray players. Furthermore, we must also consider that the DVP-S9000ES was conceived as a true dual purpose audio (SACD/CD) and video device and that it has a big, beefy power supply to assist in the reproduction of good analog sound. If you are interested in a big hunk of a Blu-ray player weighing over 20 pounds, you might want to look at the Denon 2500 BDCI (20.3 pounds) or Denon 3800 BDCI (22.8 pounds). The BDP-S2000ES has a sleek blue (blu;)) tinted glass front panel which is on a motorized slide. It looks cool, but I would have preferred just a plain black front. The motorized glass panel is just one more thing to potentially go wrong. The case top is a 3/16th's inch thick brushed aluminum sheet. I was surprised to find that the side panels, which are vented, are flexible ABS plastic. The rear panel has the usual HDMI, component video, coax, optical, composite video, s-video, and analog audio output connectors. I was delighted that Sony was thoughtful enough to include an IEC power cord jack for my Signal Cable MagicPower cord. There is also a fan on the rear panel near the IEC jack. The fan does its job very well because, after hours of continuous play, the case top was just warm to the touch. The fan is whisper quiet and cannot be heard from four feet away. Inside the case there are three circuit boards and the disc transport. 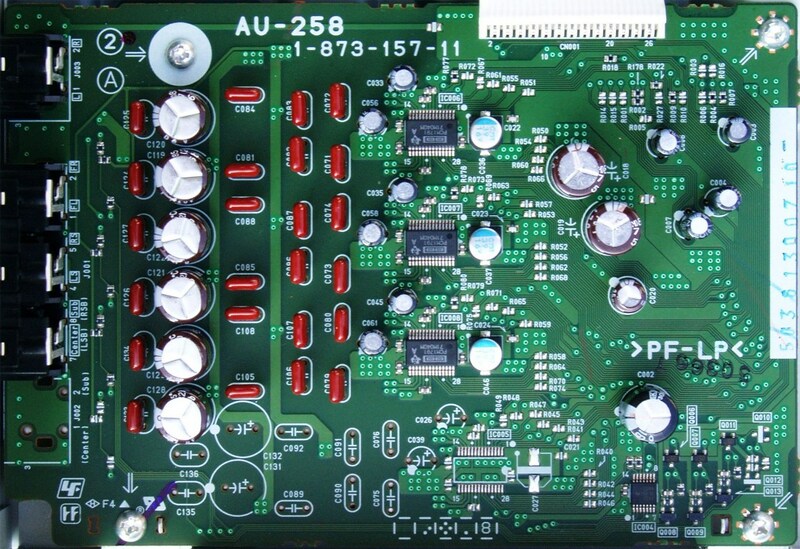 The digital power supply board, which is the largest of the three circuit boards, takes up approximately 1/3 of the case interior. Thanks Sony, for not skimping on the power supply. I was bitterly disappointed in the rather flimsy, rather un-ES-ish plastic disc tray. I remember when Sony used to take such pride in the thick metal and thick composite polymer disc trays of their ES line CD and DVD players. That was back in the era of burly ES. Now we are in the era of girly ES. I noticed that you neglected to mention that your precious two channel system has been sitting more idle since you got your new true Blu video toy. Isn't that a down side as well? Excellent review, I was interested in the Sony ES at one point then I opted for the Panny BD-30 due to the pricing. I've never had a problem with my Sony S1 I have upstairs and many say the S1 was designed off of the ES standards. Very true, the S1 was built with ES standards. Congrats on the new 2000ES though. If you want to get your eye's poppin', you're definitely going to have to go 1080P native. There are a few BDs out there that will let you count the blackheads on Jason Stratham's nose (something we all like to do from time to time). 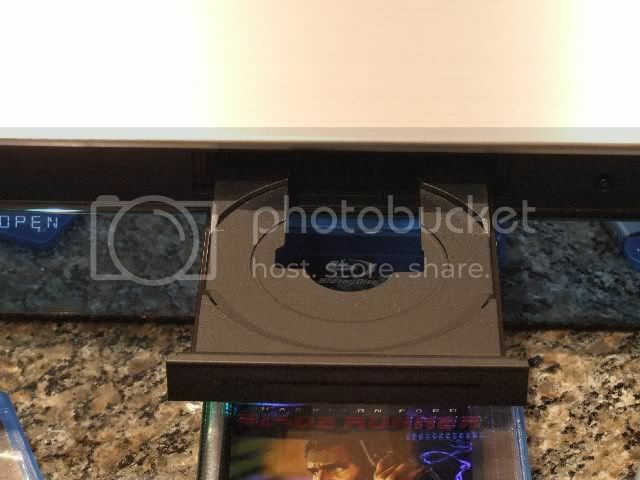 The Bladerunner disk was a real treat. Seeing that movie in better shape than originally screened with a re-mixed soundtrack was an awesome experience. I'm in the same boat as you were before you bought this player. I'm UK based and have the Sony DVP-S9000ES player, I'm a stickler for battleship build and so far the 9000ES is the only one that has measured up. I know the S2000ES isn't going to be as heavily built as the S9000ES, I doubt we'll see such a well made video disc player from Sony again, however I would like to get a peek inside the S2000ES and compare it to the guts of the BDP-S1E. I've been gutting a number of older ES sony players I have for some parts that would make a good base for mods including a number of high quality Switch mode power boards, a few R-core transformers and a very tasty 6ch DAC board from my old 999ES which may well come in very handy. Please would you be kind enough if you get the time to post some High res pics of the innards of your S2000ES? I'd really love to see exactly what's in there. - I didn't see any mentions of disc load times - are they better, worse, or unchanged for the next-gen video formats (in other words, too slow)? - Did you listen to any CDs in this player? If so, how would you rate its performance vs. 9000ES and 9100ES? I didn't see any mentions of disc load times - are they better, worse, or unchanged for the next-gen video formats (in other words, too slow)? Did you listen to any CDs in this player? If so, how would you rate its performance vs. 9000ES and 9100ES? Prior to receiving your question, I had not done any critical comparison of the CD playback of the BDP-S2000ES and DVP-S9000ES. The DVP-S9000ES is retained in my home theater system cabinet for SACD playback, so it was easy to do a quick evaluation. I used two versions of Dave Brubeck's "Time Out" for evaluation: The 20 bit Redbook CD and the dual layer SACD. Tracks 3, 4, and 5 were used in the evaluation. The discs were loaded, paused and started at the same point and the preamp remote was used to switch back and forth the players. I listened at an average sound level of 90 dB-C. The BDP-S2000ES had slightly more tactile bass, bass articulation, and midrange and high frequency clarity. Sound stage size and the placement of sounds within the sound stage were identical. The weight of images within the sound stage was greater with the BDP-S2000ES. The sound level output between the two players was the same. The SACD sound output level of the DVP-S9000ES was an average 2 dB-C lower than that of the BDP-S2000ES. Other than that, I did not hear a difference between them. I compared the audio performance of the DVP-S9000ES and the DVP-NS9100ES in this thread. Please can we get some pics of the innards of the BDP-S2000ES? I've got my 999ES in bits taking parts for a possible mod on a 2000ES. I will post some pictures of the BDP-S2000ES's interior in this thread. I will try to get to it within the next couple of days. Sorry I missed the load times, Darque. Egg on my face. Thanks for the sound comparo, too! I think I also just decided what my first Blu-Ray player will be. Exactly what I am saving for, the Epson 1080 UB front projector. Right now it's sitting at about $3k, hopefully towards the end of the year when the new models start to surface the price will drop, once it drops below $2,500...it's mine. 1080p on an 87" screen. I'm so over my 1080p films getting sliced and diced to 720p it's not even funny. Brilliant stuff. Looking forward to seeing the pics. I'm trying to decide between a BDP-S1E and a BDP-S2000ES. From what I can tell the only extra's I get from the BDP-S2000ES is a motorized fold down flap and DTS-HD HR decoding. The quality is so great on the upper Tier movies ( Go to the AVS forum and look at the Tier ratings thread so you dont buy poorly produced bluray transfers that look just fine on just dvd ) that you swear you are looking at REAL people and REAL backgrounds....its amazing. Dont let that video bug bite you TOO hard.....my first bluray hooked up to a Panny 42" 720P ( 1080i ) that I gave to my parents looked fantastic as well....If you are happy dont change right away....the difference between bluray and dvd...is night and day.....but the difference between what YOU are watching and 1080P is subtle at best. I only upgraded to the 1080P because I wanted a larger screen size then 42" and went with 58"....I was perfectly happy with my 42" bluray performance. The BDP-S1 is a first generation Blu-ray player. I can't imagine that there would not be significant performance improvements between it and the current BDP-S2000ES, even though the specs, features and physical dimensions are the same. Otherwise, there would be no incentive for owning one. I found a discussion which included views from two owners of both the BDP-S1 and the BDP-S2000ES here. One owner felt the 2000ES was not an improvement over the S1. Another owner had the opposite experience. The differences between the two may not be apparent in some A/V systems and to some people's eyes and ears. The pictures you requested have been posted. ...hopefully towards the end of the year when the new models start to surface the price will drop, once it drops below $2,500...it's mine. However, my cousin has the same HD-DVD player that he's using on his Samsung 52A650 and I could easily see the lack of crispness and clarity that 1080p brings to the table. Did you mean to say 1080i? ok let me write that in English what i meant to say was that his Toshiba HD-DVD player is 1080i and on his 52" 1080p display the difference was definitely noticeable, but on my 42" LCD I couldn't tell 1080i from 720p or 1080p. I'd much rather see those thousands projected onto my screen. The $$$ does not keep me away from upgrades, even all the early adopter ones. Giving them away? I CAN'T give away my Hitachi 1080i RPT CRT set. My dad said he didn't want it, my friends all have better TVs than I have, and my wifes mom, who would have taken it, just got foreclosed on and now can't fit th TV in their apartment. But like you, I will hold on to my relic for a few more years. I am getting a PS3, even knowing that I will get no added picture quality over my current DVD player (already ran trials - you can find more details on the test elsewhere on these forums). At least I will be able to view all movies again. As it stands now, Sony pictures copy-protection has edged some players (like mine) out on certain movie titles. If I remember correctly, Sony now OEMs their Blu-Ray players to Pioneer. That's why some poeple remark they look quite similar inside as well as the back panel. I am waiting for my order of the Pioneer BD051 Elite player which is supposedly has a processor inside to speed up boot and play times significantly, somewhat like a PS3. Wonder why these other manufacturers don't build their players to the same quality as Sony, the PS3 is a tank and has no issues at all unlike just about every other Blu manufacturer out there. I won't buy anything but Sony, at least the next several years until these other guys can get their players working without issues. I went through hoops to get my Samsung BD-P1000 to play without issues and you know what, it still won't spin certain discs. I will not buy another Samsung player because of it, ever. Wonder why these other manufacturers don't build their players to the same quality as Sony, the PS3 is a tank and has no issues at all unlike just about every other Blu manufacturer out there. 1. Because they can't afford to. Sony is a vertically integrated manufacturer that can provide every part that goes into a player. Since they are not subject to the whims, price fluctuations, and parts shortages of the components market place, they can offer higher quality at lower prices. It is just not economically feasible for some other companies to offer quality comparable to Sony and still be competitive on price. 2. They simply don't have the manufacturing expertise and/or capability. 3. Because the average A/V consumer shops according to price rather than quality. Sorry to tell you but the entire Sony range so far has been made with off the shelf non Sony parts, that is excluding the case and audio DAC. The rest I'm afraid has all been bought in. 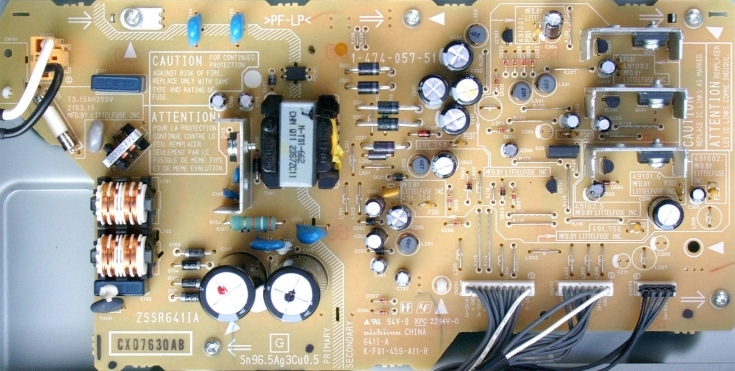 The power supply in your S2000ES (which is exactly the same as in the S300 and S500) is not a Sony model at all, it's a cheap nichicon design manufactured by a company called Littlefuse inc. which is used in many other Blu ray players too including the Pioneer range that use exactly the same board. Which is hardly surprising when you consider that the Sony and Pioneer range also use exactly the same processing section PCB and Blu ray drive. Which again are the same in the S1, S300, S500 and S2000ES. The S500 and S2000ES use a very very slightly tweaked PCB design. The drive is the same in all players and the audio DAC is the same unit from the S300 to the S2000ES. Which in fact is a tiny little thing and looks inferior to that used in the BDP-S1. They may well be interchangeable so if you find a dead S1 then get it for the audio board and if it's a straight swap you may well have an instant upgrade. Certainly the power supply section for the DAC is much better than that in the S300, S500 & S2000ES. The S500 and S2000ES are identical bar the case. It's always great to have another Sony enthusiast on the forum. What is the source of your information? I ask because, when I was researching Blu-ray players, I specifically asked Sony about the differences between the S500 and S2000ES. Hunting, hunting and more hunting for every single concievable picture of the internals of every Blu ray player I can to get part numbers, pcb product numbers and designs. I work with high end audio every day and in the evening I spend alot of time researching high end home cinema hardware as that's where I want to make my money in the future. I was particularly anxious to see the internals of the S2000ES and nobody more than myself wanted to see it full of heavy duty power supplies, Sony's own designs of decoding and audio, and also a properly made Sony Blu ray transport, not just an off the shelf PC drive wired with an old ATA connector. The more I think about it, something is deeply amiss. 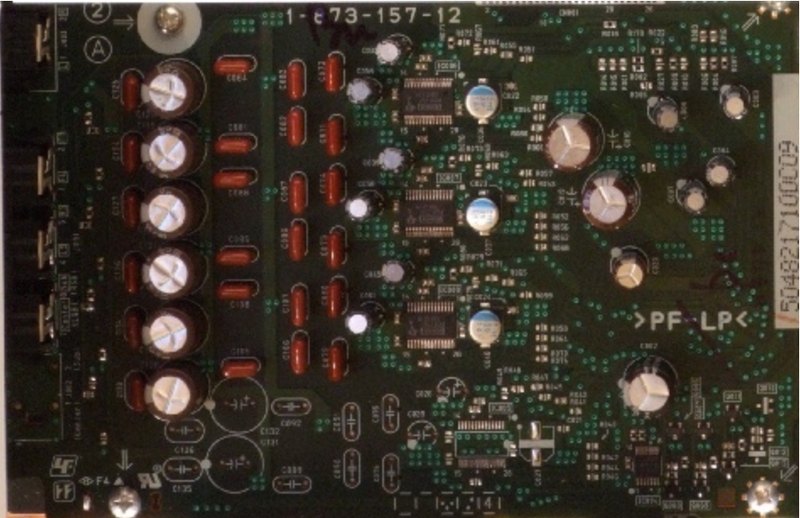 Why on earth would Sony and Pioneer use the same decoding PCB throughout their product range? The only reason I can think of is the same reason with graphics cards companies who were simply not allowed to use anything but the reference PCB design for a certain chip. I think this may well be the case with the Blu ray processing chip. 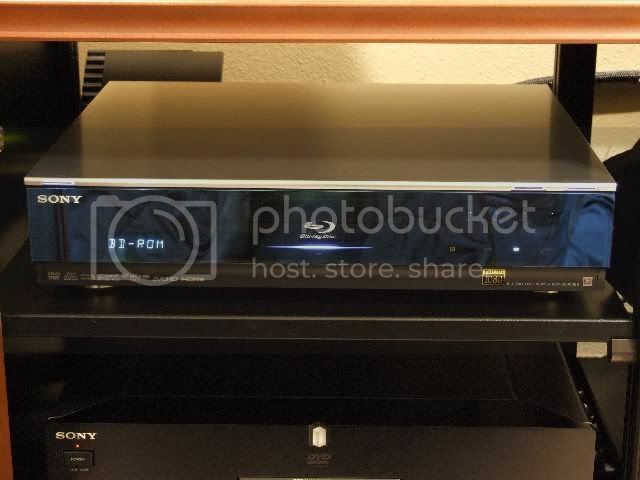 Just reading some further posts on AVSforum,, apparently Pioneer has been making all of Sony's Blu ray players for them since the S1. Which explains alot, and begs many more questions too, how on earth can Sony compete with a brand if the other brand is building their units for them? Well, you may want to consider contacting Sony directly. Over the past twenty years or so, I have found them to be very cordial and forthcoming regarding technical inquiries about their products. With regard to visual comparisons, two circuit boards or two transformers may look identical in photographs, but there may be internal or design differences. Some examples are a higher quality printed circuit board, higher quality components, better wiring or cores inside the transformer or additional, higher quality components or circuitry mounted under the circuit board or elsewhere in the case. That's fairly obvious and I agree with what you've said entirely. I'm not trying to be cocky or piss on anyone's strawberries, to my mind the S2000ES is still the best built blu ray machine available. I'm simply very intrigued by the fact alot of Blu ray machines are based on the same drive, processing PCB and PSU. Please don't think or insinuate to others I get my information from AVSforum, I placed the link there as it was relevant to what we're discussing here. Looking at your photos again. There are indeed very small differences, the part number of the transformer, the PSU PCB part code and the Audio DAC has been tweaked it seems as the PCB code has gone from 11 to 12. The S300 uses Burr Brown PCM1791 DAC's, I can't see what they are on your S2000ES, did you manage to get a look at them? Even more interesting is the Audio PCB on both is actually a 7.1 channel board that just hasn't had the parts placed in, the center and sub channels have in brackets (LSB, RSB, left surround back right surround back). I wonder if a later generation processing board came out that ran on the same PSU and drive, you could mod the board for full blown 7.1 in the S2000ES? Relax. I did not and do not take your, or anyone else's, comments about the S2000ES personally. What you should understand about me is that I make up my own mind with information collected by careful research from credible sources, and of course, personal experience. Some people think the S2000ES is a wonderful machine and others think it is overpriced junk. Everyone is entitled to their own opinion. Please don't think or insinuate to others I get my information from AVSforum, I placed the link there as it was relevant to what we're discussing here. I wasn't insinuating anything. I merely quoted what you wrote. I asked you what the source of your information was and the AVS forum was the only direct reference source you mentioned. Looking at your photos again. There are indeed very small differences, the part number of the transformer, the PSU PCB part code and the Audio DAC has been tweaked it seems as the PCB code has gone from 11 to 12. The S300 uses Burr Brown PCM1791 DAC's, I can't see what they are on your S2000ES, did you manage to get a look at them? Zooming in on my original 2.4 MB, 3488 pixel x 2616 pixel photograph, I see the DAC's are Texas Instruments PCM1791A. Of course, Burr Brown was acquired by Texas Instruments, so these are, in fact, Burr Brown DAC's. The PCM1791 apparently comes in four versions: PCM1791, PCM1791A, PCM1791ADB and PCM1791ADBR, but I don't know the differences between them. I'll have to confess to not being much of a DAC connoisseur. I wonder if a later generation processing board came out that ran on the same PSU and drive, you could mod the board for full blown 7.1 in the S2000ES? I don't know. Someone at Sony probably knows. Well can you explain why the 2000 has a much better sound? I read where blu-ray holds real potential for high resolution audio, apparently four times the amount of data than DSD for music only titles, the music only discs are starting to trickle out, perhaps a clue into why the bean counters at Sony have locked the SACD away in their vault. Guess I am not much of a video guy as I can live with 480p upsampled at least at this point I can. But I would add a blu-ray player to the Woodshed Rack IF there were ample music software titles that you could play without a monitor for the menu.